L0BIT is tremendously excited to release an instant lobit classic! will make your body move and your nose hair grow spontaneously into a mustache! 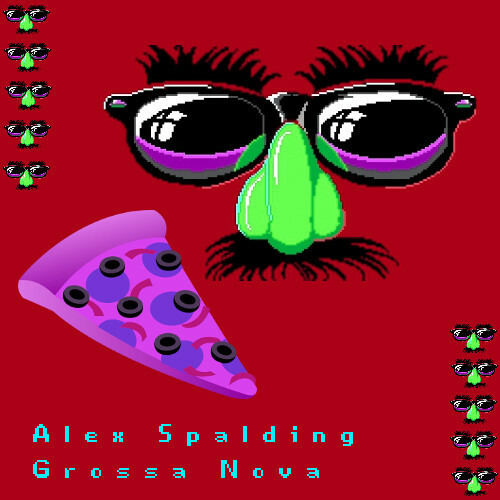 four exclusive tracks by mister electro vaporware himself ‘Alex Spalding’ from noisejoy,YIKIS, chip tunes & material action fame!! Each track is a hit! Worth every pixel, frame and mili second of your collection! Listen this and play it out loud so your friends will respect you, or perhaps (in case you did not have friends) attract new kind of friends! energetic electro happiness with great vocal expressions covering well written lyrics! so you can sing along with your favorite new lobit hits!! L0BIT suggest to sing along while dressed in spandex, sportswear, or a biker jacket and dance! also not unimportantly, this complete album fits on a floppy diskette! or want to pass this wonderful hit album over to your friends in style!